square-foot school was constructed so students would have one central facility for traditional classes, as well as vocational studies. The school is staffed by Oxford Community School teachers and assistants. 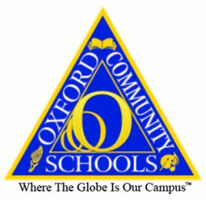 For more information on Oxford Crossroads Day School, visit www.crossroads.oxfordschools.org. five-to-ten-week program, dogs are brought to the Crossroads for Youth campus. Working with a trainer, the children teach the dogs positive reinforcement behavior. The youth learn about empathy, anger management skills and develop patience, while the dogs learn more acceptable behavior. The program is highly successful for both the children and the animals; after completing the program more than 90 percent of the dogs find forever homes and the children receive a Level 1 dog training certificate. “There is evidence that pet therapy works and works well,” said Chris Veihl, Clinical Director for Crossroads for Youth. “It helps a lot with healing. Dogs give unconditional love; they don’t judge and that is something our kids need.” For more information on Teacher’s Pet, visit www.teacherspetmi.org.